Leica Screw Mount Copies Classic Leica Copy forum as listed in the book 300 Leica Copies, including but not limited to Nicca, Leotax, Honor, Canon etc. At one time there was a major part of the camera industry just trying to make a lower cost copy/dirivitive of the original Leica. Does anyone know for sure what the differences were/are between the Nicca III; Nicca IIIA and Nicca IIIB? Reliable info seems to be a scarce commodity on the WWW. I know the differences in Leica terms but am a complete novice in the world of Japanese Barnacks. I have just bought a pair of Niccas (steady-on!) one of which has the legend 'Made in Occupied Japan' on the base-release catch whereas the other (which I know to be a III S) has simply 'Made in Japan'. Did this change coincide with the move from III to IIIA model designation / III A to III B / 'Other'? Serial number of the earlier example is 34066 (III S is 53226). Check out the other Nicca thread below. There is the head bartender's link and another very informative link that helped me date my Tower 45/46 as a Sears marketed Nicca 5L from 1956. Thank you for the nudge to make me persevere with the previous threads, Cal! I had looked - briefly - at most of the links but the one which seems most informative for my purposes was the one posted by Farlymac which I had abandoned as I thought it was all going to be in Italian......not my strong point. If I am correct the one I was asking about seems to be a '49/'50-ish Nicca III. I am basing this on the fact that there is no 'Type-3' engraving and those models produced subsequently - i.e. from the III A onward - have the focal-plane engraving at the rear of the top-plate (mine has no such reference mark). FWIW the 1952 ("Type - III S"engraved as opposed to "3-S" engraved) model pictured in the link has a serial just 310 'newer' than my own example. When I have a bit of time I should make the effort post some snaps of my new charges. It is hard to tell if there is any external differences between a Nicca III to a IIIA, both were factory non flash synced but I am sure some internal build differences occurred. The Nicca IIIB had the first type finger tip jabber type flash sync contacts and the IIIS had the later neater flush ones. 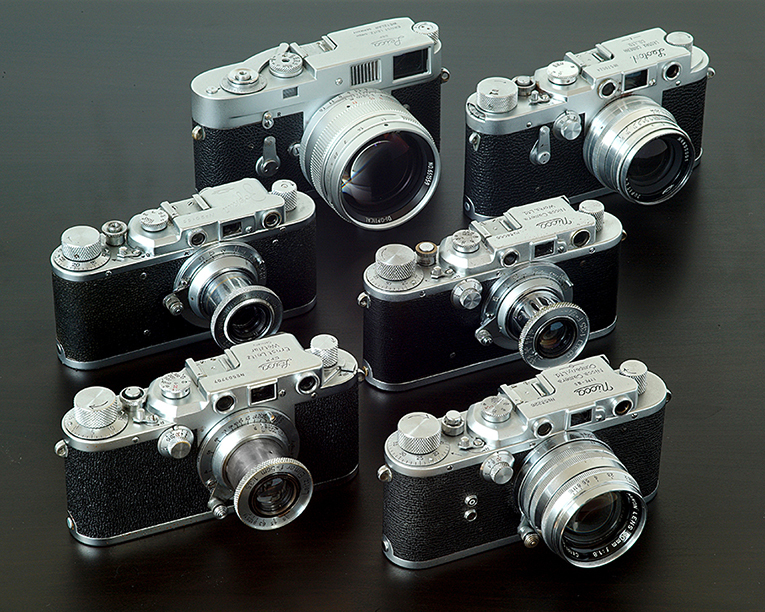 The MIOJ engraving was rescinded by Dec 5th 1949 but many camera makers still used it on their cameras till 1951 . 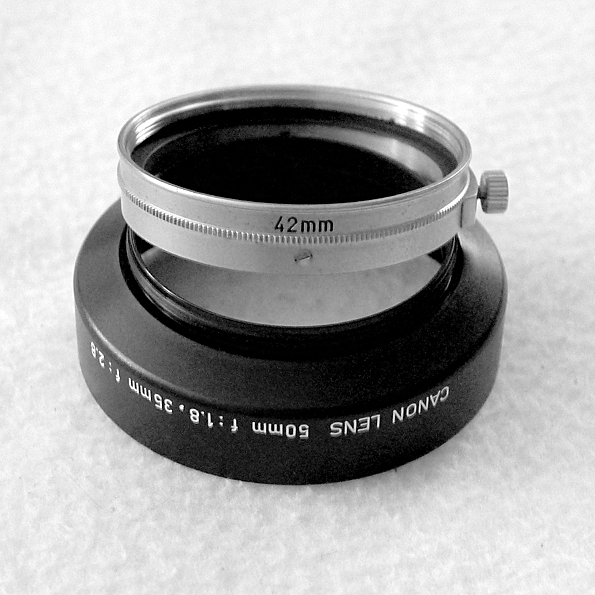 The Tower 45/46 (Nicca 5L) has Nicca LTD engraved inside the camera, and can be seen when I remove the baseplate. I had GAS for a IIIG, a camera I have owned many times, but the Tower I own gave me relief. Also saved me money as IIIG's are about double the price I paid for the Tower. 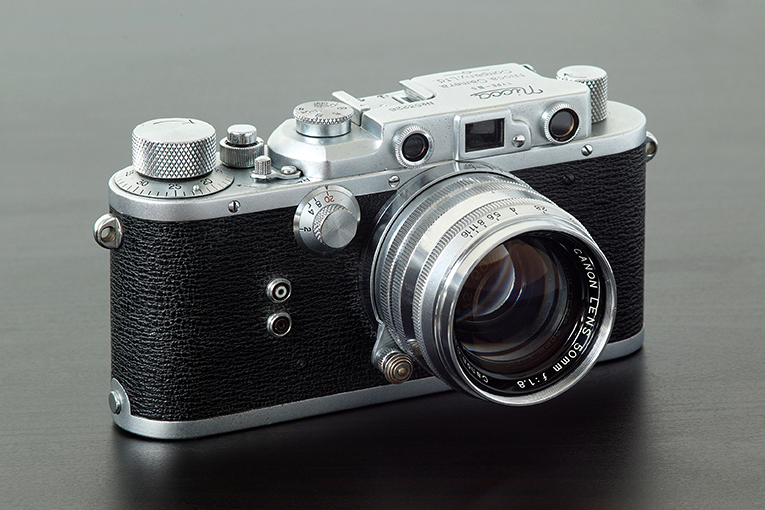 As shown by Tim's camera, the lever film advance and the rear door make a 5L very much like a M-body. I also prefer the Tower 45/46 camera over a Leica IIIg, in fact I sold my IIIg after a year, as I could not bond with it for some reason, good camera but not for me. The Tower 45/46 on the other hand is beauty and love using it. Thank you both very much for the additional info and recounting your experiences. I am a neophyte in the world of Japanese Leica-esque cameras - I only bought my first example (a Leotax K3) this past week - but I'm finding this new world to be a fascinating place to explore. Not to create GAS, but those single coated LTM glass has wonderful and beautiful rendering. The 50/1.4 Nikkor I need to get. Highly regarded. I happen to own a rare black version of the 28/3.5 Canon that is a small pancake lens. The chrome versions are readily available and sell for "no money." They usually don't suffer from fog/haze, but the helicoils get stiff from old grease. The slow speed of the 28/3.5 is of no handicap because I stop down to F5.6 and set the focus at 7 feet for a kill zone of 5 feet to ten feet. Effectively once I set the shutter for an exposure its a point and shoot. I own a rare 35/1.8 Nikkor in LTM. Simply just a great lens for B&W. These two lenses are marked in feet only on the distance scale. I also happen to own a silver 43/1.9 Pentax-L. This is my modern lens for LTM. The VF'er for the Pentax-L has 43mm and 50mm frames, but if you use the entire window it offers perfect framing for 35mm. Knob film wind like the III models but with a door like back that swings out with a vertical hinge unlike the the Nicca 5L aka Tower 45/46 which had a back door that swung out similar to an M Leica with its horizontal hinge. I have an MIOJ Type 3 with a collapsible 50/2 Nikkor from 1948. Also 35 and 135 MIOJ lenses. Great barnack clone! Thanks, all, for the added info. I'm not a collector by any manner but I have had a look at some of the Topcor / Nikkor lenses out of curiosity. 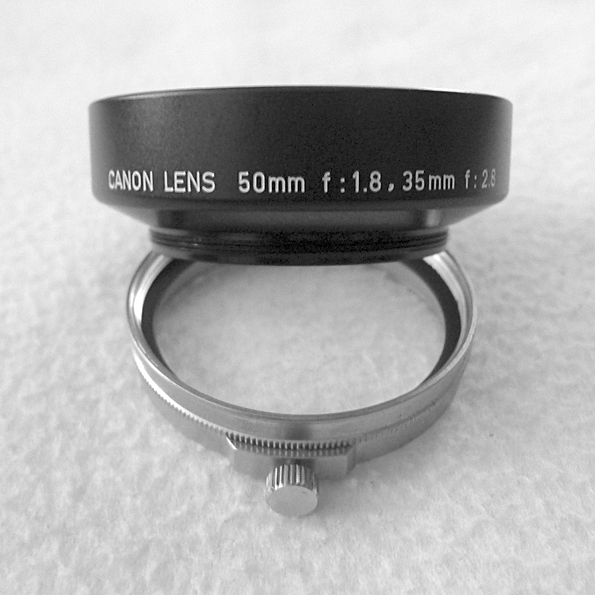 I have also ordered a chrome-finish Canon 50mm f1.8 in the meantime. I already have a few Leitz lenses (I bought my first Barnack back in 1980 and still have a shark-skin IIIc) as well as some pieces from the FSU so there's no rush for me to get new optics! I've got the full kit in the form of a new-logo Tower camera with matching lightmeter and a nice Nikkor 5cm f2. A very nice shooter! I've always considered that front-mounted flash port to be kind of a kludge. Even assuming it was done at the factory, it looks like they just sort of picked that location because it was the easiest to do. Eh, whatever; I don't use flash with this camera. 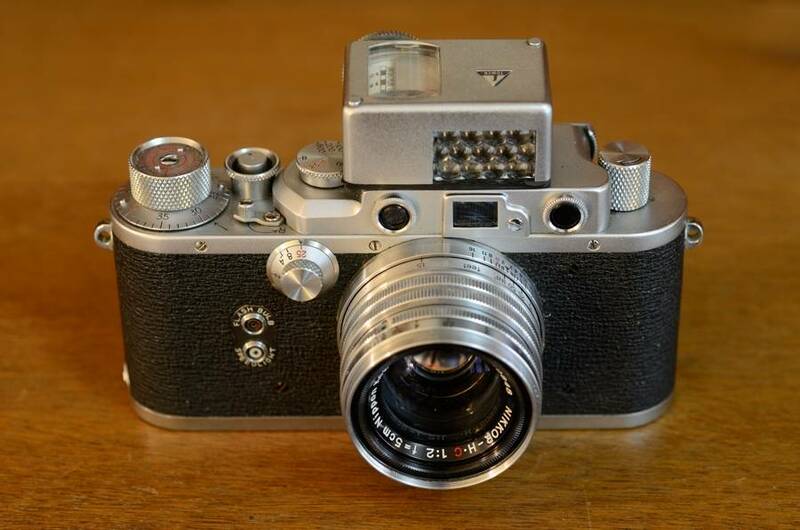 At least Nicca kept it uncluttered and simple and did not go the 101 flavours of flash sync settings route of the Leica IIIf. I love that distance scale marked in feet only for that uncluttered look on your 50/2.0 Nikkor. Might I ask since you own the 50/2.0 Nikkor, do you lust a 50 1.4 Nikkor? Just wondering since I'm considering both. I do favor the 50/2.0 because at this time the 50/1.4 has a rather steep premium. "Might I ask since you own the 50/2.0 Nikkor, do you lust a 50 1.4 Nikkor? Just wondering since I'm considering both. I do favor the 50/2.0 because at this time the 50/1.4 has a rather steep premium." I own both Nikkor lenses and prefer the f2 over the f1.4 Nikkor lens. The veiling flare when the f1.4 lens is used at 1.4 makes the lens annoying to use IMO, although some people like veiling flare and make use of it in certain applications in their image making. Just stopping down a hair from f1.4 improves the lens tremendously in my opinion. Yes, it's a classic sonnar, like two lenses in one. Veiling flare wide-open, stop down a bit for much improved contrast. Here is a comparison, not sure if this works on mobile but it will on desktop browsers. Move the mouse over the image to compare wide-open to f/2. Well... Not really. I have a 1.4 but its in Nikon Rangefinder mount. But thinking about it just now, its kind of a moot point because I usually don't need the extra stop anyway. I might have a different answer if I shot frequently indoors, or if I did portraits, but I don't. I'm usually between f4 and f8 outdoors even with ASA 100 film. This 2.0 however is an absolute gem. I got it from the Classifieds here. Excellent chrome, perfect glass, no oil on the aperture blades. And it hasn't been modified for close focusing like most I looked at prior. Its nice. Thanks everyone for the short reviews and opinions. My 35/1.8 has that veiling flare that makes wide open dreamy and reto-looking. Pretty much I shoot F5.6 unless I have reason not to. I also tend to shoot closer than most people so I get some really smooth OOF and that perfect blend of sharp and soft with a smooth transition. For low light I would use the 35/1.8 Nikkor for the added DOF. I especially love the meter. V. Nice indeed! Glad I own my Tower 45/46. Otherwise I'd have some major GAS. It's funny; none of the cameras/lenses are rare/collectible/valuable yet at the same I find it to be an interesting bunch nonetheless. I'll probably have more questions in the coming weeks/months in any case! 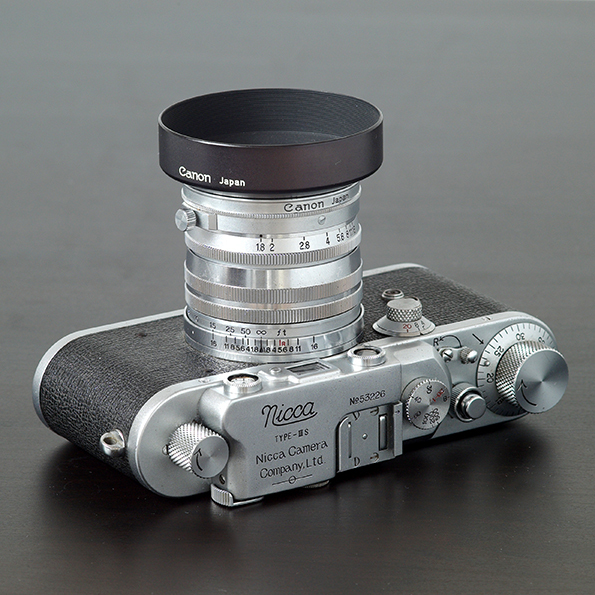 The Serenar 50/1.8 has 40mm filter threads, so perhaps 3rd party screw-in hood would work. ...I'm not sure the hood you ordered will fit your chrome Serenar lens......The Serenar 50/1.8 has 40mm filter threads, so perhaps 3rd party screw-in hood would work. Thank you very much for the compliment, dourbalistar, re: the bunch and even more so for the info you added. I believe you will be seen to be correct once the package arrives. The 40mm thread-size (which comes as a slight surprise to me!) also makes sense and, unfortunately, my naïveté is showing! Well, the 'hood arrived this morning and - surprise surprise - it fits! My hopes were raised when I saw that the plastic filter-box which was included inside the leather case for the hood was marked '40mm'. I think one cool thing about the Nicca LTM cameras is that one does not see many "in the wild." This presents itself as novelty and displays a quirky rarity. Pretty much an undervalued camera IMHO. Anyways I love mine. Mighty good looking. Unfortunately, both of my Nicca cameras (III-S, and Yashica YF) have busted shutters now. And the haze has returned on my black body Canon 50 1.8, so I'll have to clean that out again once the cameras are fixed. Sigh...it's always something around here. Those Canons tend to have boomerang haze. I sent my Nicca type -3 MIOJ and some barnacks to Popflash for service. Super quick, they have an old-school tech who is retired but still loves to work on the old cameras. Might want to talk to Tony Rose at Popflash about those shutters. I'll have to have a second look at the link, dourbalistar. It is entirely possible that the cased set which I bought contains the hood-unit and the adapter which were already screwed together to form the unit which clamps over the lens barrel. The adapter part into which the hood screws has the engraving '42mm' which, obviously, marries-in with the exterior barrel dimension. Thanks for the post. Good info. They are in Thousand Oaks. Hope Tony, Alex, and all the crew are safe. Either way, the hood you got seems to fit just fine. Nor does what I have look quite the same as any of the groups in the links. Similar but not identical. Well, goes to show that being an Internet expert only gets you so far... Perhaps you have a series filter adapter from a different brand, mismatched with a Canon hood? I have/have had both the early and later Canon hoods and have always found the parts to be interchangeable. Currently have the S-42 hood mounted on the earlier Canon 42mm holder. The print on the outside and the width/depth of the hoods changed over time, but the series VI thread remained the same. ...Perhaps you have a series filter adapter from a different brand, mismatched with a Canon hood? As you say; the important thing is that, through my good fortune, it was the correct model for the job in hand. Well, I guess the only thing left to do is make some images with your new kit! I did not know how few Nicca 5L cameras were produced.